Itzler reevaluates his relationship with time to become more focused on what really matters. 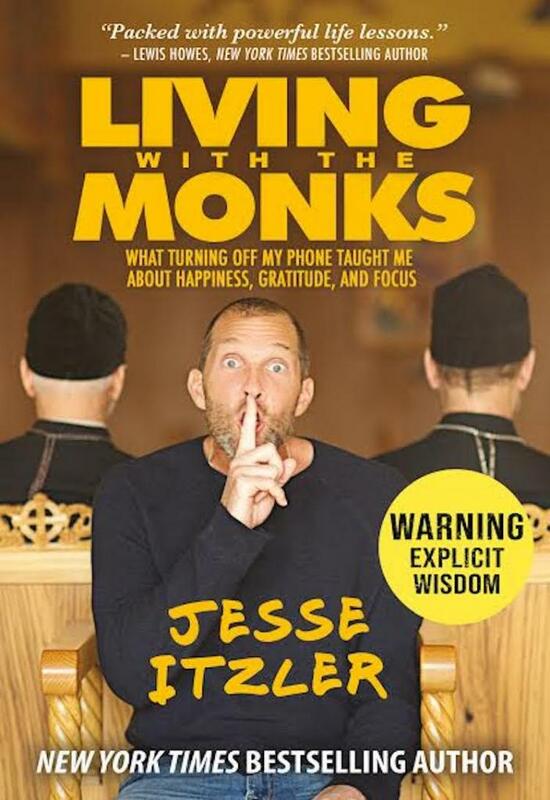 With all the success Jesse Itzler had achieved—music, marathons, business ventures, writing, motivational speaking—it may come as a surprise that he wanted to take a break from his life to live with monks in upstate New York. But, as we learned from his life-changing experience with “SEAL” in the best-selling Living with a SEAL: 31 Days Training with the Toughest Man on the Planet, Itzler prefers living with the source of his inspiration to reading about them. While the Navy SEAL taught Itzler mental and physical toughness, living with monks taught him the importance of contemplation, gratitude and living in the present—without a smart phone. A believer in getting your foot in the door and then figuring it out later, Itzler assumed he would be living with Buddhist monks but he signed up to live with Russian Orthodox monks at New Skete monastery in Cambridge, NY. 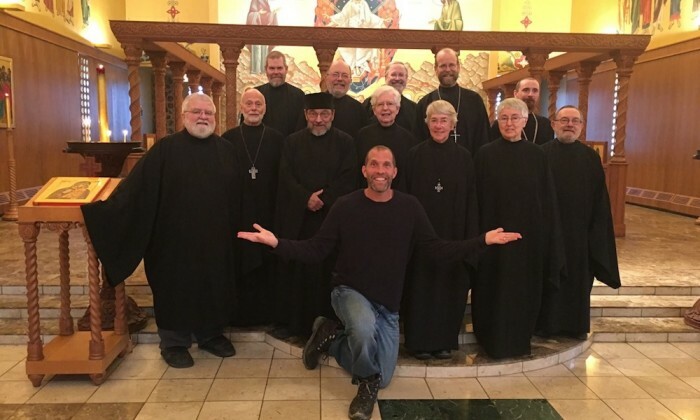 In the humorous, spiritual journey depicted in Living with the Monks: What Turning Off My Phone Taught Me about Happiness, Gratitude, and Focus, we learn that the New Skete monks are Christian and breed champion German shepherds. The Roslyn native discussed some of the challenges of being away from family, news and technology. 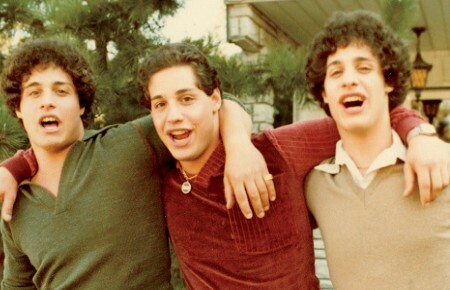 Did you practice any religion before living with the monks? What made you decide to do this after training with a Navy SEAL? I wasn’t super spiritual before leaving for the monastery. That’s one of the reasons why I went. I realized I’d invested so much in the physical side of things—marathons, ultramarathons, climbing Mt. Washington in the snow—but really neglected the inner work. When I thought about who the masters were that could help me on that space, it led me to monks! I went for the time away and to disconnect from all the stimulation for a minute. I gave myself an adult timeout. What were the biggest physical challenges—e.g., changes in diet, exercise? Monks do meals very differently. They have one big meal for lunch, which they call dinner. Breakfast was basically fruit and the evening meal was very light, mostly soup and salad. There was no snacking. And, for me, running is like a forced meditation that clears my mind. The monks hike a little and walk. Their daily routine, which includes training German shepherds, might include physical labor but they don’t have an exercise routine. Although there weren’t many opportunities to exercise, I ran up and down the driveway from the monastery every day. Doing it six times a day, it’s over 10 miles. That was my new goal—to walk 120 miles up and down the driveway before I left the monastery. What were the biggest mental and spiritual challenges—from meditation to being without a smart phone? The biggest challenge was not having the freedom of choice. At home I can order food if I’m hungry, or watch TV if I’m in the mood. All those options are off the table at the monastery. It’s very hard to adjust to that after 50 years of having that freedom. It was also really hard to have no idea what’s going on outside of the monastery. It takes your mind to some very interesting places. Would you recommend others experience something like this? I recommend everyone take time alone. 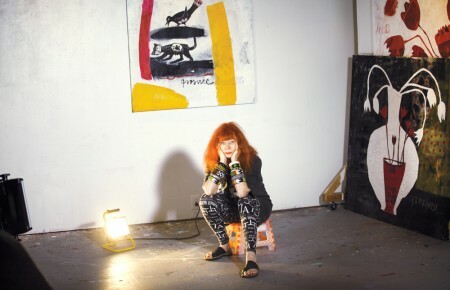 I realized that I spend very little time alone and that’s really the only way to be in touch with your gut. I found myself alone for a lot of my stay. But in the real world, I have to find the time and place to be alone. If I don’t exercise my thinking muscle, it will go away. What’s next in your Living With… book series? I’m not sure yet. I learn best from jumping into the unknown so we will see…I’m open to suggestions!